I hope everyone had a wonderful Thanksgiving surrounded by family, friends and good food! We had a great time and as always ate way too much. Over the past week I had 3 dinner parties and to say the least, I’m pooped! Never the less it’s time to gear up for the holidays. I enjoy purchasing gifts to give to everyone in my family but when it comes to those that provide me with a service I often like to bake or make them something. 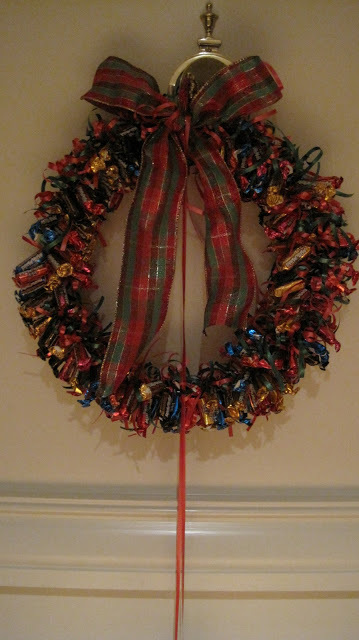 One of my favorite things to do is to make a Candy Wreath. It’s a fun gift that can be displayed in your home or business for all to indulge in, by simply cutting a piece of ribbon that’s attached to some candy and then secured onto a wire ring. My candy wreath pictured here has lots of colors, but you could use just one or go with a particular theme. You can make them with Christmas colors (as shown here), Chanukah colors, for a birthday party for either adult or child, or baby shower. You get the point? 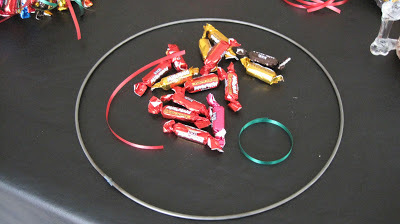 For some creative ideas check out this website that’s devoted to making candy wreaths. These take about 3-4 hours to put together. I did mine in 4 evenings while sitting in front of the tv at my kitchen table. The time went by quickly especially while watching a favorite show. 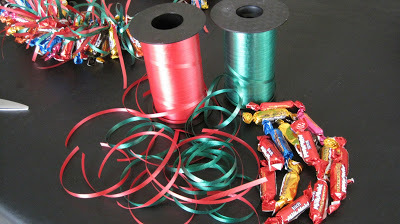 Cut curling ribbon for each piece of candy about 10-12 inches in length to tie onto one end of the candy. You can use any type of candy or gum, etc. that is wrapped and twisted at least at one end. Once the ribbon is tied onto the piece of candy (no need to knot it, just one tie around) wrap it onto the wire ring and make a knot so that it can’t fall off. Continue doing this, bunching the candy tightly together as you go. Continue until you have a about 1/2 inch of space left. This is where you will add your decorators ribbon. However, prior to adding the large ribbon take the sharp side of a scissors and curl each piece of ribbon. Once you’ve done this – using an extra long piece of curling ribbon, attach a small child-like scissors to it, and tie onto the 1/2 inch open space at the top of the ring. You will want the scissors to hang about 6-8 inches below the bottom of the wreath. This is what everyone will use to cut off a piece of candy with. Then tie your large ribbon on, making a pretty bow. To that, connect another piece of large ribbon, wrapping around the center knot of the bow making a large loop. 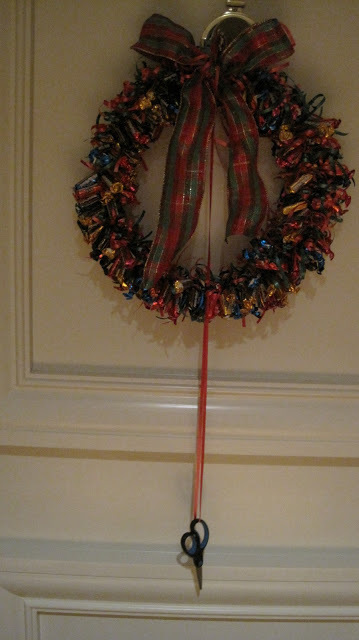 This is where you hang the candy wreath onto a hook or nail. Note: If you decide to use a wire hanger, one that you hang your clothes on – be sure it’s a heavy duty hanger. Shape into a large circle leaving the hook at the top. The hook will act as the hanger. I recommend decorating that with decorators ribbon. If you go to a candy supply store like I did you can get a great value. The candy I purchased came in a 6 pound bag for just under $23. Enough to make 2 candy wreaths. A fabulous gift for a reasonable price. That’s all there is to it! This is a great project to do while sitting around. Your kids will love to help. In fact, we use to do an assembly line and the whole family got involved. I wish I could watch you do this, not sure how you started that first one… looks hard to me lol I am not crafty at all! This is adorable I love it! It’s very simple Claudia. Sorry I thought i explained it well. Simply start by tying pieces of curling ribbon onto the candy. Do a batch then tie onto the ring or hanger, one by one knotting each as you go. Eventually the entire ring will be filled up. It’s so easy. 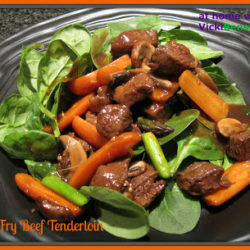 Grab a heavy duty hanger and try it, you won’t believe how simple it is. If you need help you can call me. The wreath really looks very pretty and colorful. Thank you Balvinder, it is dry colorful. 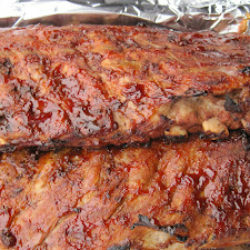 @Parsley Sage – you don’t keep from eating it. That’s what the scissors are for so everyone can have a piece. Howver if you hang it in your home and don’t have visitors then you either refrain from eating the candy or totally indulge. Of course you don’t have to hang a scissors from them. In which case it would strictly be for show. Hi Vicki, who wouldn’t be thrilled to receive one of these sweet treats! Such a fun idea! Now this is my kind of wreath!!! None of that fake greenery, bring on the candy!!! Thanks for showing how. Thank you for the comments. Mary these are so simple. I promise you won’t have any trouble. If you can tie a ribbon onto the candy then onto the ring it’s a piece of cake. FifteenSaptulas – definitely not fake but fattening unless of course you use dietetic candy. Cafe Sucre Farine – whether you make this for yourself or friends, everyone loves it. Such a fun project and the resulting wreath is so beautiful! 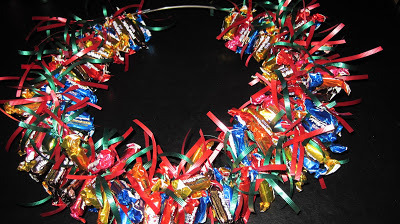 A candy wreath is such a great idea and timely for us as we have young nieces and nephews coming for the holidays and this will make a special surprise for them. Thanks for sharing this! @Carolyn Jung – who said I didn’t eat 1/4 of the bag? 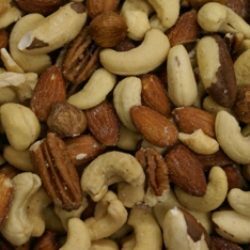 I had a 6lb bag and probably for every 20 pieces I had one. I love candy and can’t seem to get enough of it. Maybe that’s part of the reason I spread it out over 4 days! Although after a while you just can’t take another piece. @Lizzy – the scissors are fun and makes it easy for others to get their piece of candy. However, if you prefer it just for decoration, then you could leave the scissors off. @Carol & Adam – oh your nieces and nephews would love this along with their parents. It’s quite the conversation piece. If you make one I’d love to see it. Don’t forget to check out some of the ideas on the link to that site I provided they’re fun! Hi Vicky-I admire your crafty talent with this lovely candy wreath! I also envy you, and others that have not only the talent, but the patience with timely consuming projects, that are fun, and the end result brings so much happiness, and pride! @Elizabeth – thank you. I’ve always loved doing crafty projects. I come from a family of designers and artists but never seemed to fit the mold. Then I realized one day that my cooking, crafts and jewelry making were all artistic. Funny how I didn’t see it when I was younger. I don’t have the patience so much during the summer months but as soon as the weather gets cold, I pull out all my stuff. It’s very therapeudic just like cooking! Love the scissors! 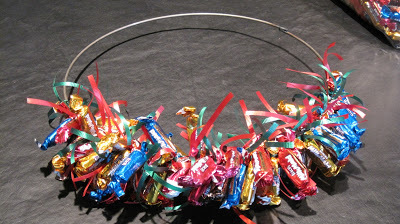 And really like the whole idea of a candy wreath. Looks great – thanks. What a cool wreath! All the kids on the court want to come to my home if we hang this outside – or they secretly eat this without letting me know. LOL. You can cook and crafty stuff. Do you have anything you can’t do?? heheh. I love this! The wreath looks really striking and I trust you had a beautiful Thanksgiving with friends! I guess it’s time for some real comfort food after all the dinner parties before the next round of parties in Christmas! Oh my word- that’s just gorgeous! Inspiring stuff- thank you! @Nami – There are lots of things i can’t do but I prefer to share those that I can. Makes me feel better! We all have a few hidden talents, I’m convinced. Sometimes it takes a while before we actually discover them. @ChopinandMySaucepan – I did have a nice Thanksgiving. I hope you did as well. This week I’m only cooking simple food and in fact this evening I picked up a roasted chicken from the grocery store and toasted ravioli. I ate the ravioli. I guess I was in the mood for junk. @Magic of Spice – if your niece is creative she’ll love making this, in fact it’s fun to do together. The rewards are it’s completion and the beauty of it. I hope you both try it. Hi Vicki, sounds like a very busy time of year for you, I hope you’re still ‘smelling the roses’ so to speak! @Pachecopatty – my intent was to video the entire process. However, I had so much going on that I actually used this time to relax and unwind from my crazy schedule. I guess you could say it was my therapy. If I have time I will make another later using the video. I hope you try making one. They’re so pretty and fun! That’s such a creative idea! I love the colours on it and I’m sure the kids in the neighbourhood will love it! Very creative Vicki and thumbs up for making this. 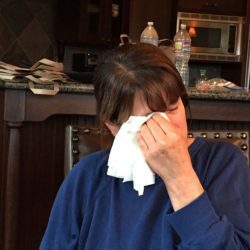 Vicki – this is GREAT! So colorful and fun! I suspect that everyone would enjoy this one! It is so colorful Divya and everyone loves it, not just the kids. I hope for those of you trying to come up with something different and creative to give this holiday season that you’ll try a homemade Candy Wreath. They’re really so pretty and tasty! Vicki, you took 4 evenings to make something that I could easily finish eating in one! Haha, I’m that greedy…your wreath really does look so colorful and pretty that I don’t think I can stay away from those candies at all. Oh, and thanks for the practical scissors, now I know I don’t have to bring my own when I come to visit you ;-). fabulous and creative and you do have so much of patience to do this Vicky and I am not sure I can do that.